Standardized test such as TOEFL, IELTS, TOEIC, FCE, CPE, etc. The manuscripts selected are those which can contribute globally to the field, rather than works applicable in local context. The journal publishes three issues annually, i.e. March, July, and November. 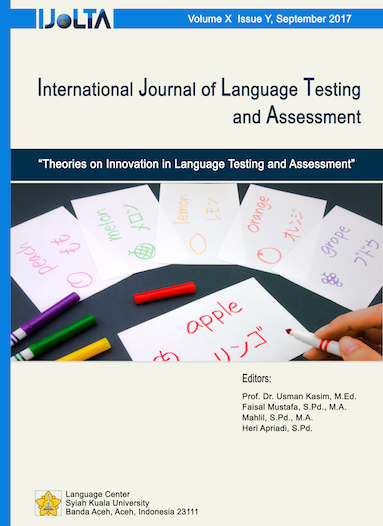 An examination of the washback effect on Iranian EFL learners’ reading comprehension: Any implications for text difficulty in the classroom?